This procedure and video will explain and show the steps required to reassemble the X-ray source that has the new style filaments. Refer to this RBD TechSpot blog post for the disassembly procedure and tools required. This procedure assumes that you have disassembled the source completely. If you only needed to replace the filaments, anode or window then you will have only partially disassembled the source and only need to follow the parts of the procedure that apply. 1. Let’s also assume that you have removed the filament feedthrough as shown in the video. Use a new copper gasket and install the flange on the shorter of the two 2.75″ flanges with the couplers facing towards the top of the source. Initially, tighten the bolts finger tight and check the spacing of the couplers with respect to the inner wall of the source tube. If necessary, remove the flange and adjust the height on the coupler mounts (loosen the screw and nut) up or down in order to maximize the spacing between the anode and the couplers as shown in the drawing below. Then install the feedthrough and tighten the bolts. Use anti-seize lubricant on the ends of the bolts if they are dry. 2. Install the football ceramic. If you are installing a new football ceramic (RBD Part Number 602229PR) then you may need to file the edges of the moly blocks that are attached to the ceramic in order for the ceramic to fit inside the tube. It is a snug fit, if necessary use isopropanol as a lubricant. Line up the 4 holes inside the moly blocks with the holes in the x-ray tube and use the 0-80 screw or tool to insert the football ceramic retainer pins. If necessary, tap the pins gently until they are flush with the tube. 3. Install the moly shield. This is also a snug fit. You will need to work the moly shield back and forth to get it to slide inside the tube. Use isopropanol as a lubricant if needed. Line up the 4 holes in the moly block with the holes in the x-ray tube and using the 0-80 screw or tool, insert the beryllium copper retainer pins into the holes and press them in until they are flush with the outside of the tube. The thread side of the retainer pins face out from the tube. 4. Cut the new filament wires. Lay the new filament next to the old filament on the clean working surface so that you can compare the length of the old filament wire with the new one. You can also remove the ceramic tube (and metal tube) from the old filament and move those over to the new filament, then cut the excess filament wire. Typically, the wires extend about ¼” past the end of the ceramic. It is very important that you cut the wires the same length and same orientation as the old filament. One wire is longer than the other wire and it you cut them incorrectly then the filament will not be able to connect to the coupler and it will unusable. To reiterate, the length of the wires are not the same on both filaments, they are mirrored. 6. Install the filament retainer pins. Once you have the wires guided into the filament couplers, then use the 0-80 screw or tool and install the filament retainer pins. 7. Tighten the filament coupler set screws. Use the needle nose pliers to hold the coupler and then tighten the set screw using the 048-4 Bristol wrench. The set screws need to be very snug, but not too tight. You will feel the wire compress as you tighten the screw. Also note that the wires should stick out about 1/8″ from the back of the couplers and that the couplers should be parallel with the tube body. 8. Install the anode. Clean the anode if needed with a wire brush – note that the coating is only about 10uM thick so you do not want to use very much pressure on the brush. Just finger tight and only a few strokes. You may not be able to clean it completely, but getting most of any back carbon deposit off will increase the x-ray flux and give you a higher count rate. If you are too aggressive then you will take the anode down to the copper and it will need to be replaced. The anodes will naturally wear down to the copper with normal usage. If you need an exchange anode or want to recoat yours, use RBD Part Number 04548ANODWEXRE Slide a new copper gasket over the anode and insert it into the source all the way into the football ceramic. It should extend past the moly block by .010 to .020 inches and there should be a little bit of spring in the anode when it is all the way into the football ceramic. See the video for more details and adjust the anode if necessary before installing the 6 cap head screws. Use anti-size lubricant on the ends of the screws if needed. 10. Install the end cap over the filaments and secure it using the 4 cap head screws. 11. 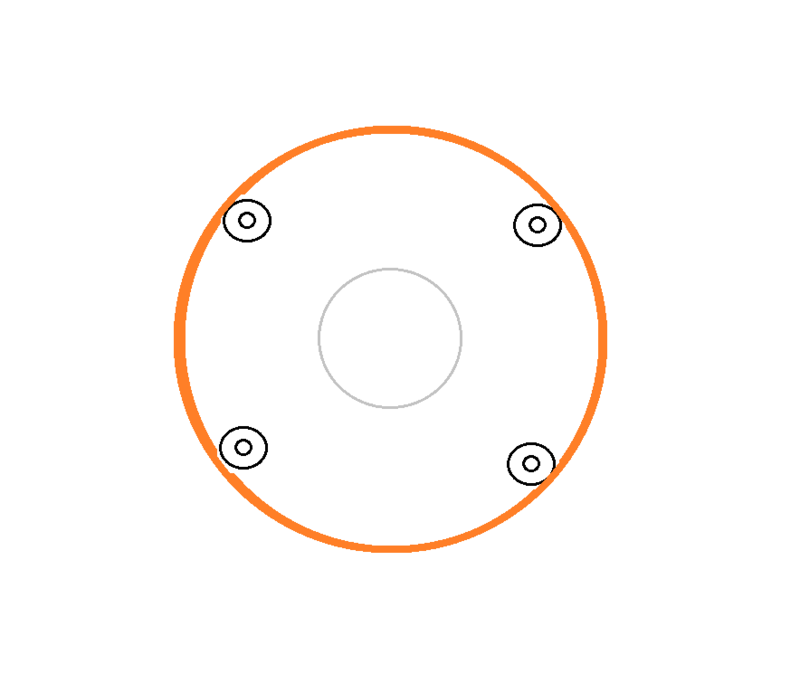 Use a new gasket and install the 2.75″ filament coupler access flange. Once the source is mounted on the chamber, tighten this flange some more (as you will be able to apply more force when it is mounted on the chamber than when the source is on the bench). Also recheck the tightness of the anode screws. 12. Finally, once the system is pumped back down, bake out the system to remove all the water vapor from the x-ray source. Follow the outgas and high voltage conditioning procedures in the 04-548 manual. Contact RBD Instruments if you need more information. This entry was posted in X-ray Sources and tagged X-ray photoelectron spectroscopy, x-ray source by Randy. Bookmark the permalink. When turning up voltage Mg of Al voltage goes to < 1kV and then shuts down, while emission current says goes up (no watts). While out gassing, Mg filament to 5amps, but no amps on Al side. Seems Al filament burnt out and touching x-ray source??? Is this true? And, what can we do?